Lewis Kater Gaines passed away peacefully Wednesday evening, in the company of his wife Merle Pinson Gaines of Gainesville, of whom he was married to for 68 years. Lewis was preceded in death by parents Glenn Kater Gaines and Pauletta Williams Gaines. Lewis is survived by his son Gary Lewis Gaines and daughter-in-law Tracy Kelley Gaines, and daughter Gail Gaines Chester and son-in-law David Bradley Chester. He is also survived by his brother and sister-in-law Terrell and Judy Gaines, and his brother-in-laws and sister-in-laws Reuben and Marjorie Black and Steve and Martha Mooney, as well as many loving nieces and nephews. Lewis had five grandchildren, all with spouses: Kelley and Courtney Friedman, Graham and Mercy Gaines, Neil and Margaret Gaines, Bradley and Callie Chester, and Bryan and Barbara Chester. He also had 10 great grandchildren all of which knew him as “Papa Lou”. Lewis was born in Hall County in 1932 and attended Lyman Hall High School. He was employed for many years with Fieldale Farms, but was better known as an entrepreneur. He played a big role in the early development of the North Hall area as the owner of many buildings, stores, and properties, including a grocery store, laundromat, mobile home park, and other small businesses. 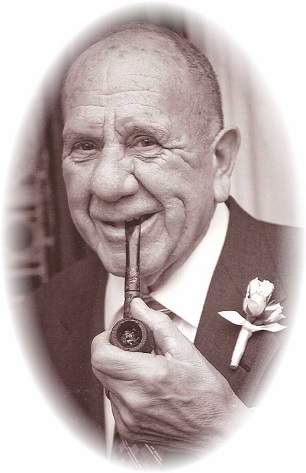 He was known in Hall County through the decades as a tough, hard-working man with a personable smile, and a kindness that lingered long after the sweet smell of his pipe tobacco. He was an avid farmer and fisherman, yet his favorite past time was on Gainesville High School's baseball and football fields watching his grandchildren play sports and cheerleading. Funeral services will be held at 3:00pm on Sunday, October 8, 2017 at Lakewood Baptist Church. Dr. Tom Smiley will be officiating. Interment will be held at Memorial Park Cemetery. The family will receive friends following the service. In lieu of flowers, the family requests that donations be made to Northeast Georgia Hospice, 2150 Limestone Parkway, Gainesville, Georgia 30501, or to Lakewood Baptist Church, 2235 Thompson Bridge Road, Gainesville, Georgia 30501. Online condolences can be made at www.memorialparkfuneralhomes.com. Memorial Park North Riverside Chapel is in charge of the arrangements. 989 Riverside Drive, Gainesville, Georgia 30501. 770-297-6200.